The Division of Habitat conducts research and field studies to help guide our project review and permitting decisions. We also work with project applicants and permittees to collect baseline data or conduct monitoring for large projects. 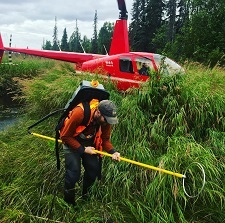 Collecting fish and habitat data and conducting research on potential impacts of certain activities helps ensure that ADF&G Habitat Biologists have access to the best available information and familiarity with existing conditions and resources when we review proposed development projects. 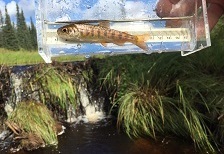 The Division of Habitat technical report series is available online and includes field survey, research, and biomonitoring results published by the Division of Habitat. Additional information on habitat related management and research activities is available at the Management & Research section of this website.